A stylish beret with a wheel like design, this accessory is perfect for the fashionista in your life(even if that's you!). Worked in the round, this hat is a great skill builder for confident beginners. You'll learn increasing, decreasing, seed stitch, and ribbing. 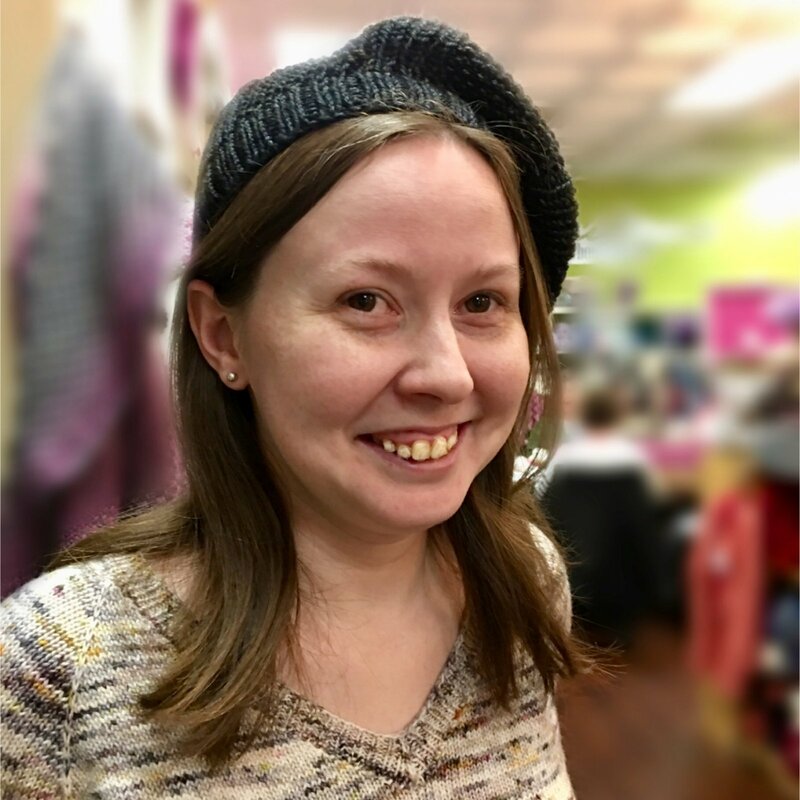 This hat can be blocked in such a way that it can be worn as a beret, or more like a slouchy beanie, whatever you prefer. Gauge: 20 sts / 30 rounds = 4 inch in K1, P1 rib; 18 sts / 30 rounds = 4 inch in seed stitch. Both blocked. Work K2, P1 for 9 (10, 12) rounds. Sample is 20 inch circumference. you prefer a tighter fitting beret, use a US 5 needle for your homework.